If I have an issue I need to resolve, what do I do? How do I arrange to attend a Constellation workshop? What if I just want to observe? How do the representatives know what they know? How can I be sure my privacy is respected? How do I know I can trust the facilitator? What's the difference between a family and an organizational constellation? Does the person who has the issue have to come to a constellation? How long does a constellation take? Why is the past so important? When should I not do a constellation? What happens after a constellation? 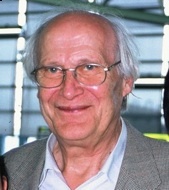 A Constellation is an intervention developed in Germany by Bert Hellinger. The method is widely used in Europe and gaining recognition in the USA. Constellations are done at workshops facilitated by mental health and other practitioners trained in the method. The objective is to address psychic pain, discomfort, and tension within and among people, family, and organizations. Constellation workshops are done for personal, professional, and organizational problems. "Bert Hellinger is considered by many to be Europe's most innovative and provocative psychotherapist. Described as the ultimate empiricist, Hellinger acknowledges several important influences on his life and work: his parents, whose faith immunized him against accepting Hitler's National Socialism; his 20 years as a priest, particularly as a missionary to the Zulu; and his participation in interracial, ecumenical training in group dynamics led by Anglican clergy. "After leaving the priesthood, he studied psychoanalysis, and eventually developed an interest in Gestalt Therapy and Transactional Analysis. It was in Hellinger's later training in family therapy that he first encountered the family constellations that have become the hallmark of his therapeutic work--an approach to which he has added new levels of meaning and possibility. First, be open to the constellation workshop process. If you have questions, contact one of our partners by telephone (see About Us for contact information.) Then plan to attend a workshop in your area. You may wish to go as an observer for the first time. Once you have decided to take an issue to a workshop, read the article Preparing for a Workshop. Read the caveats on the Registration Form to be sure you are ready to do this. How do I arrange to attend a workshop? Find a workshop in your area. We do workshops in the Washington, DC, area and if you live nearby, check our schedule of upcoming constellation workshop. If you live elsewhere, you will most likely find people who facilitate constellations in your general area. For some leads, check the Systemic Family Solutions website which maintains a schedule of workshops across the USA. Searching the Internet is a good way to find constellations in Canada, Europe, and other countries. Simply sign up for a workshop and watch the process. During it you may be asked to serve as a representative. You may accept or decline the invitation. Research conducted by Albrecht Mahr in Germany suggests that workshop participants who serve as representatives or merely observe can benefit as much as those who "set up" their own families. An individual wishing to work on an issue during a constellation chooses representatives for various members of his/her family from the circle of participants at the workshop. S/he positions the chosen representatives spatially in a way that feels right. In a short time the representatives begin to experience physical sensations, emotions or urges belonging not to themselves but to the family members they represent. It is as though they have become antennae, receiving information from a “family soul” that is mysteriously present in the room. By asking questions, making observations, suggesting trial statements and repositioning the representatives, the facilitator and client come to see the situation in a new way and create a resolution picture that can enable the client to break his/her identification with the ancestor's difficult fate. Representatives are not role playing. It is important that those persons serving as representatives get "out of their heads" and "into their bodies." They just wait and notice how they feel. No training or previous experience is required; anyone can do it. Very soon after being chosen and “set up” the representatives begin to experience physical sensations, emotions or urges belonging not to themselves but to the family members they represent. It is as though they have become antennae, receiving information from a “family soul” that is mysteriously present in the room. Speculation about this phenomenon abounds. British biologist Rupert Sheldrake offers one explanation in what he calls a “morphogenetic field,” an organizing force that accounts for patterns of behavior in social groups such as schools of fish and flocks of birds. Constellation facilitators use “the knowing field,” a term coined by Dr. Albrecht Mahr, to describe this force as it applies to human families. Mahr calls the process by which individuals access information from the field “representative perception.” Bert Hellinger discovered how to use the knowing field both to uncover hidden dynamics and to modify them in ways that foster healing and a return to the natural order. The registration process and facilitator‘s introduction make it clear that all information offered during a family constellation is confidential. Participants agree not to discuss anything they saw or observed once they leave the workshop. While the work can appear simple, it actually requires deep knowledge to deal effectively and responsibly with the complexity of a family’s dynamics. There is no regulated licensing for constellation facilitators. You want someone who has had serious training and experience. Before attending a constellation workshop find out what kind of training the facilitator has had. The Constellations Group, for example, trained initially with Hellinger DC in 2001-2002 and completed advanced training with Joanne Lynch Bachbauer in 2005 -2006, with Heinz Stark in 2009-2010, and with many other European masters of constellation work, including four International Intensives in Bernreid, Germany. Family and Organizational constellations are done in a similar way. In a family constellation, individuals serve as representatives of family members whereas in an organizational constellation they represent elements of the organization such as the founders, management, workforce, customers, etc. Concerned parents often bring issues regarding their young children. It is generally recommended that a person present an issue for a grown up child or other adult family member only with permission from the individual involved. If you wish to discuss this problem and approaches to dealing with it, we suggest you talk on the phone with one of our partners. A constellation generally lasts between 20 and 90 minutes, depending on how the process unfolds. Sometimes follow up constellations are recommended for deeply complicated situations. In his work with several thousand families, Bert Hellinger uncovered archaic “Orders of Love” deeply embedded in the unconscious of family groups. Disturbances in these orders, and in the sense of belonging essential for well-being, often manifest in dysfunctional patterns that reappear in a family system generation after generation. Sometimes our way of belonging is to suffer like those who came before us. Hellinger attributes this to the “blind love” of a child unconsciously seeking to bring attention to or redress some imbalance from the past. One may become “entangled” in the difficult fate of an ancestor and unconsciously draw unhappiness, failure, addiction or illness into one’s own life. The purpose of a family constellation is to reveal the hidden dynamic of such a situation and point the way toward resolution. The constellation workshop is designed to be an educational experience, and not a substitute for professional medical consultations or therapy. Therefore you should understand that the workshop may bring up issues of a personal nature that may invoke physical and/or emotional responses. You should not bring an issue to a workshop if you suffer from from any emotional or medical condition that might make it inadvisable. Please read the article at this link on our site: After Your Constellation.